14 partners from public research and 4 SMEs are joining forces in the RADIATE project exchanging experience and best practice examples in order to structure the European Research Area of ion technology application. Besides further developing ion beam technology and strengthening the cooperation between European ion beam infrastructures, RADIATE is committed to providing easy, flexible and efficient access for researchers from academia and industry to the participating ion beam facilities. About 15.800 hours of transnational access in total is going to be offered free of charge to users who successfully underwent the RADIATE proposal procedure. Joint research activities and workshops aim to strengthen Europe’s leading role in ion beam science and technology. The collaboration with industrial partners will tackle specific challenges for major advances across multiple subfields of ion beam science and technology. RADIATE aims to attract new users from a variety of research fields, who are not yet acquainted with ion beam techniques in their research, and introduce them to ion beam technology and its applicability to their field of research. New users will be given extensive support and training. Ionbeamcenters.eu will offer unprecedented research capabilities for European and international scientists from a variety of research fields. During the project, ionbeamcenters.eu will become a platform to share information and software among researchers and will enable online access to data analysis software and ion beam related databases and research data. Perspectively, our aim is to unify all national ion beam facilities, not just the ones involved in the RADIATE project, creating one single virtual European ion beam center at ionbeamcenters.eu. RADIATE is building on the achievements of SPIRIT (Support of Public and Industrial Research using Ion Beam Technology), a previous EU funded project coordinated by the Helmholtz-Zentrum Dresden-Rossendorf (HZDR). SPIRIT ran from 2009 to 2013 and united 7 European ion beam centers and 4 research providers. 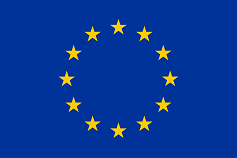 RADIATE is funded by the EU Research and Innovation programme Horizon 2020. Copyright: © 2018-19 - www.ionbeamcenters.eu. All rights reserved.